The one piece that every guy should have in his closet this season is a coat. Coats are a great way finish off your look. It serves as a very functional accessory that gives your outfit a lot of character and pizzazz. 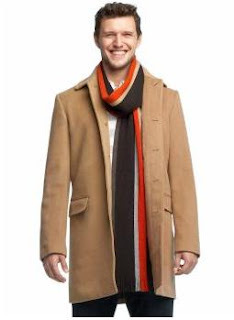 The two more common coats guys wear are the top coat and the pea coat. Top coats are usually longer in length and slimmer in cut. They are also most times single breasted. Pea coats are usually double breasted and wider in cut. Both can be worn over a suit. Both can be dressed up or dressed down. Try it on with a sweater. The fit should be comfortable not tight. Move your arms and check the points by the armpits and shoulders. Length. Your sleeves should sit slightly above your thumb knuckle. 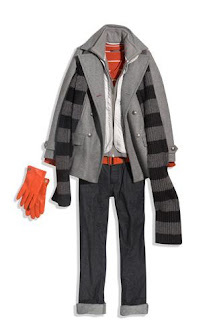 If your sleeves sit right at your wrist, then your coat is too short. Fit. Make sure when the coat is all buttoned up, there are no stretch lines across your chest. That's a sign it's too tight. Fabric. Wool or Cashmere for warmth. For wetter climates, a weather-proof nylon works really well.